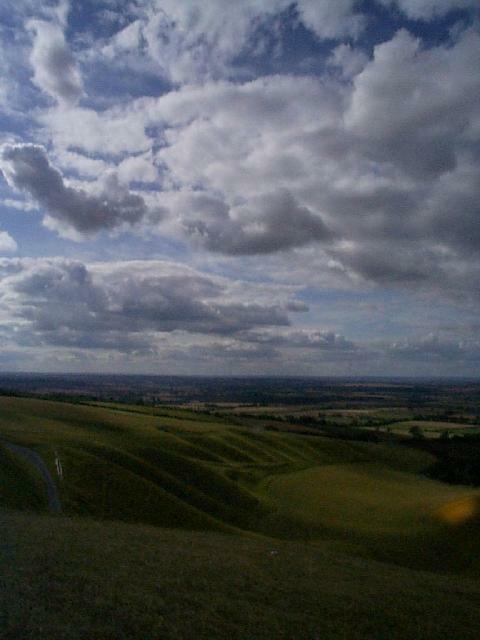 Here are some touristy photos of the Ridgeway, Uffington White Horse, Uffington Castle, and Wayland's Smithy. 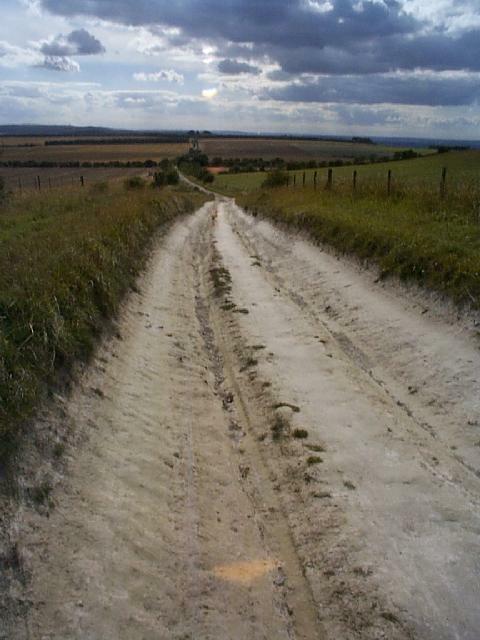 The Ridgeway is one of Britain's most ancient roads. 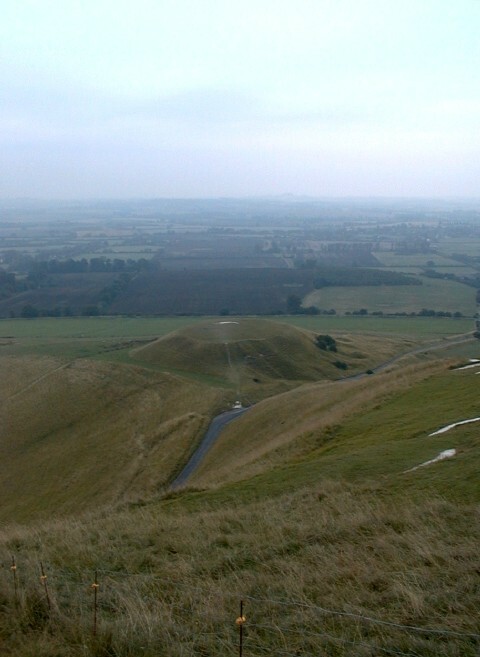 As its name suggests, it differs from most modern roads in that it runs along a ridge of hills. 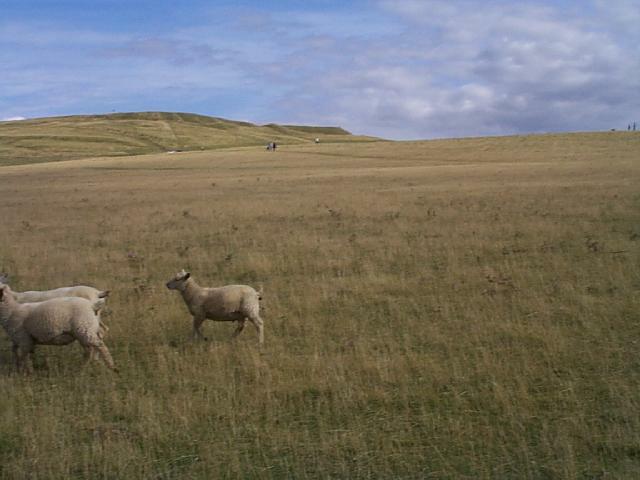 Originally it would probably have been used for driving sheep, and so on; above the surrounding land for much of the way, it avoided the dangerous forests below. 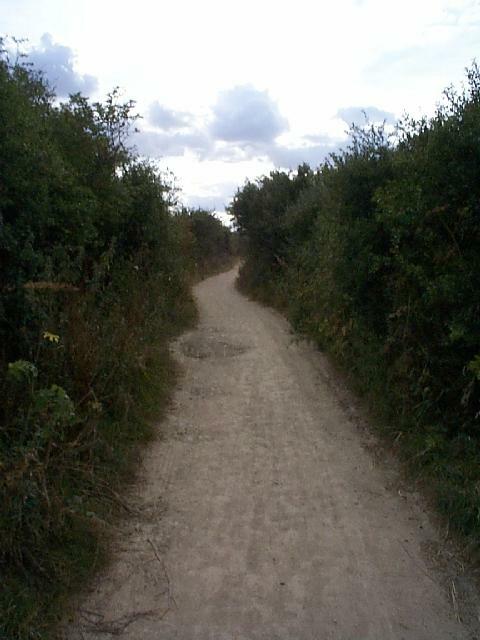 The Ridgeway has been in continuous use for as long as anyone knows. 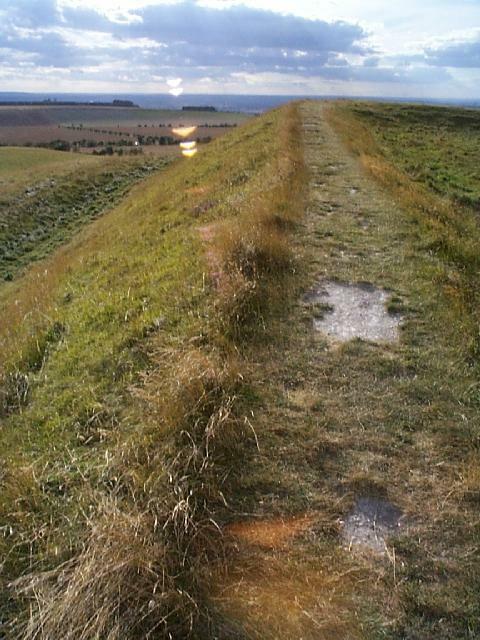 You can walk along it and indeed camp on it -- as I did when I was a teenager. 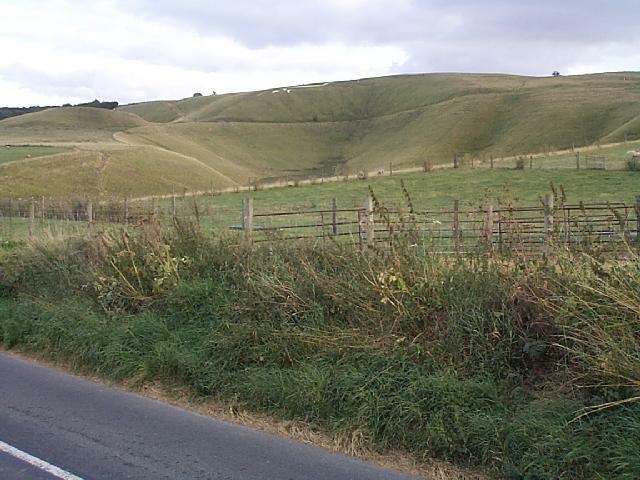 On or near the Ridgeway are numerous prehistoric sites. 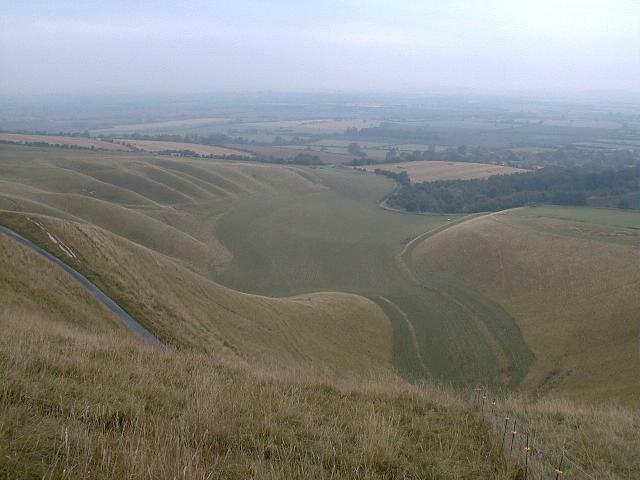 The highest concentration is around Uffington, with Uffington White Horse, Uffington Castle, and Wayland's Smithy. I provide some archaeological information below. 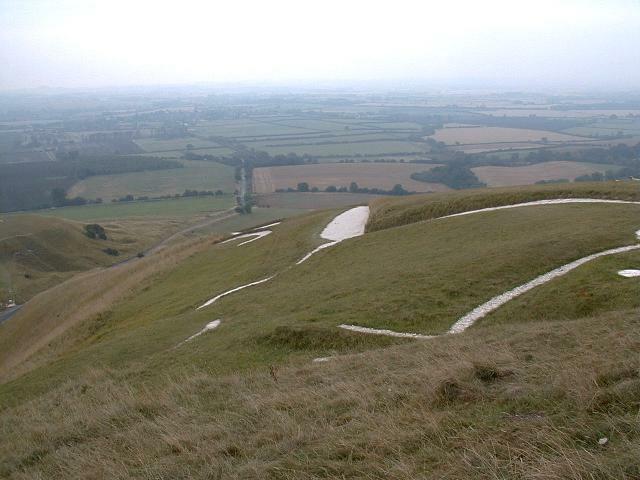 First, here's the White Horse as I didn't see it and as you won't either: the way it appears from above. 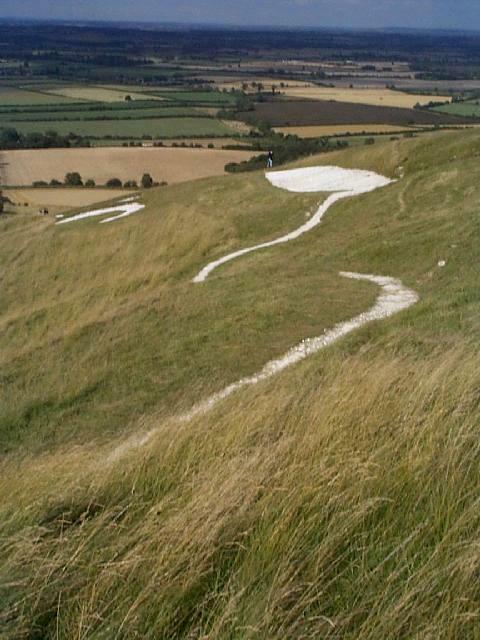 I'm grateful to Dr Mark Hows for his permission to use this image from his excellent page on Uffington White Horse (which has since disappeared, it seems). 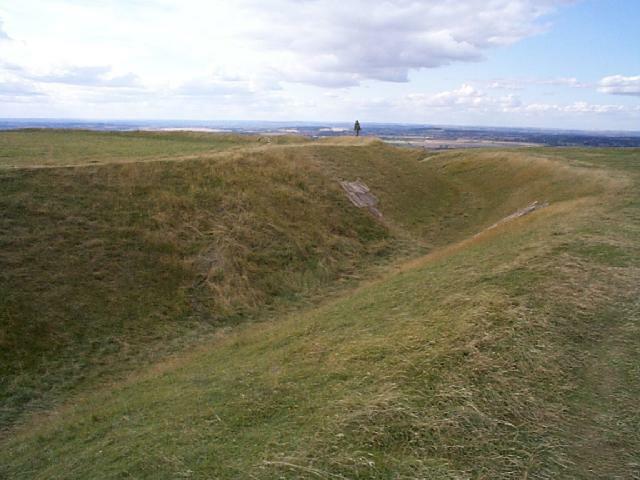 Uffington Castle is an earthwork close to the White Horse. 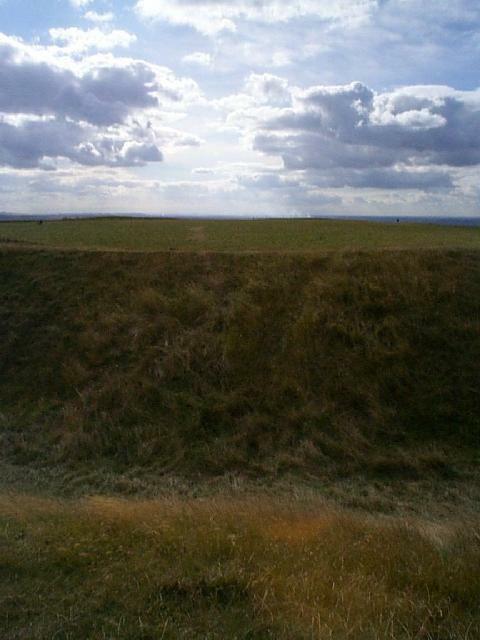 The castle is surrounded by a wall that's surrounded by a ditch. 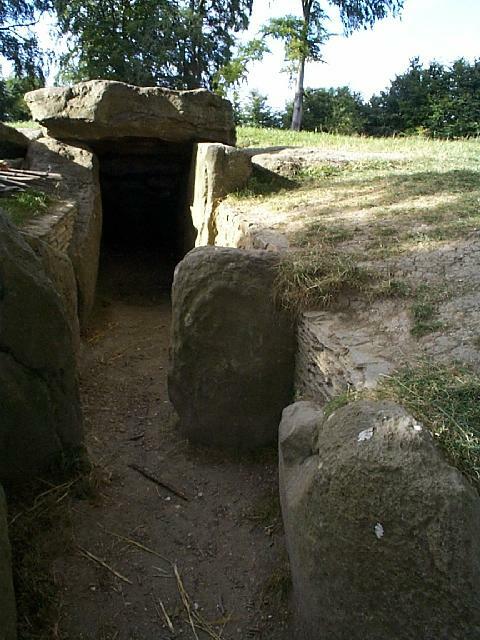 In the first photo we're looking inward from the outside. Note again the reddish blur in the foreground -- a lens hood would have helped. 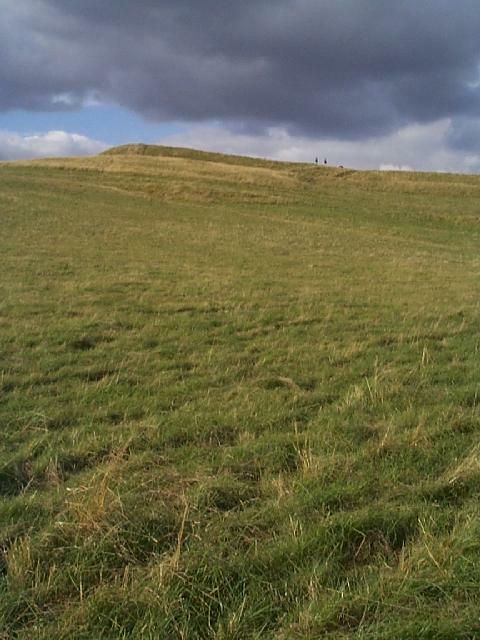 The second photo shows Uffington Castle, from outside the ditch. One year later (late August '99), I returned. The camera was a better model this time around, and I was in excellent company -- but unfortunately it was late in a very overcast day. . . .
You see the horse's whiskers, three of the horse's legs, the Manger, and Dragon Hill. 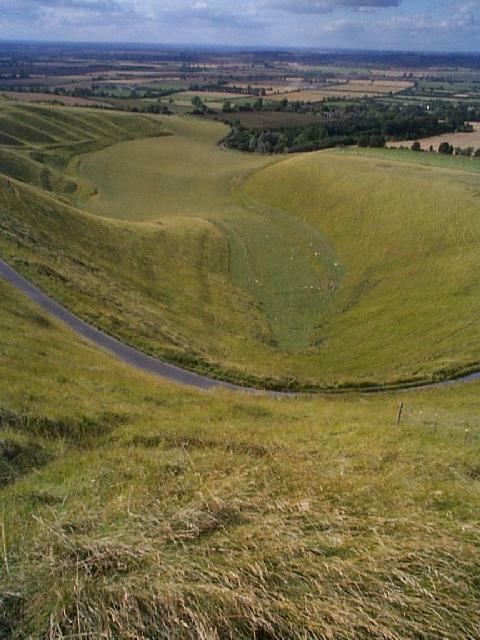 Uffington White Horse is about three thousand years old, making it by far the oldest of Britain's chalk hill figures as well as the most beautiful and -- since it can only be viewed properly from a helicopter -- mysterious. 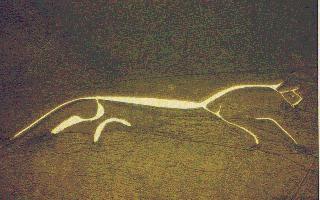 The horse was made by digging trenches and filling these with chalk. Older photographs show the horse with slightly narrower or fatter lines, but the positions of these lines have not been changed. The horse needs and gets regular maintenance. If you visit it, please don't walk on it or closer to it than the fences permit. 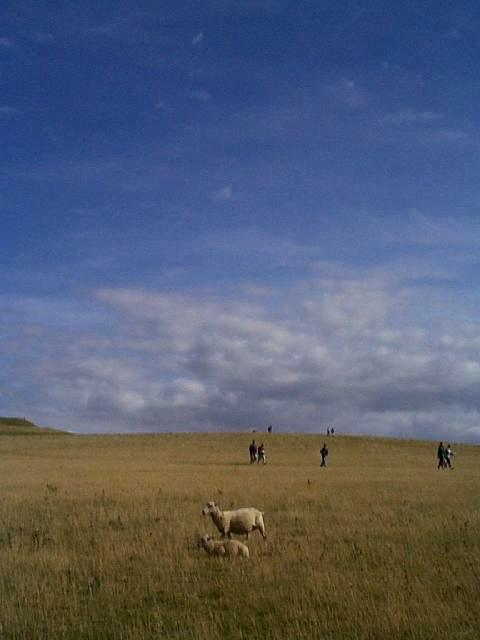 The Manger was made by glacier erosion during the last ice age. 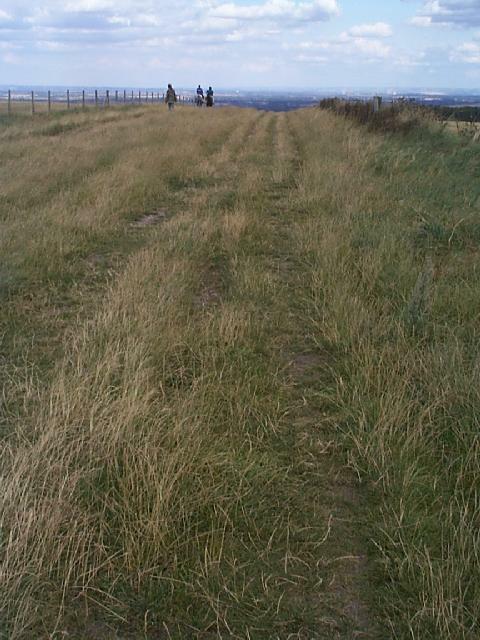 However, the terrace on one side is the result of intensive plowing during medieval times (before the Black Death). 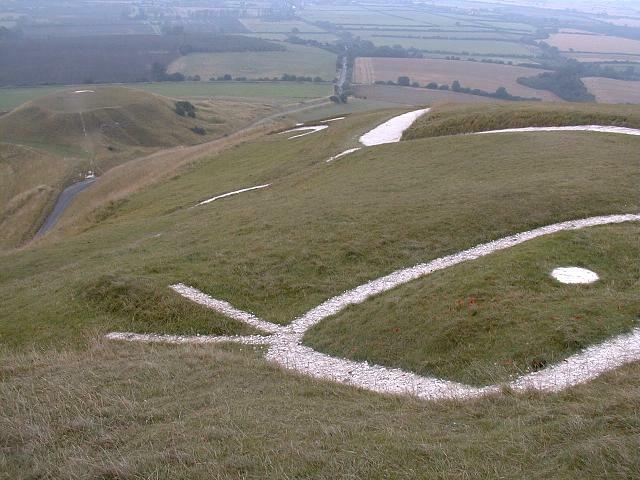 Its name derives from the belief that the White Horse comes here to feed at night. 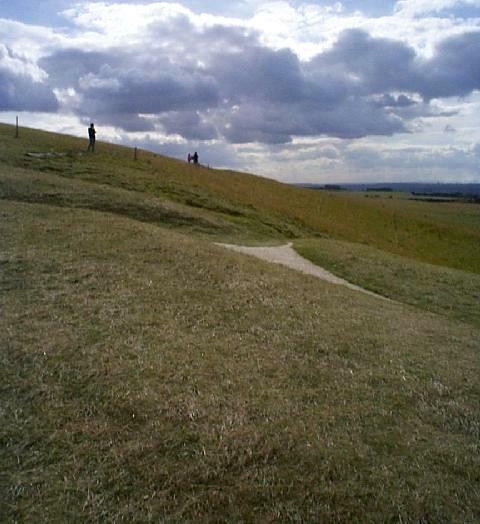 Dragon Hill, so improbably symmetrical as to suggest some rich Englishman attempted a folly re-creation of Mt Fuji, is thought to be a natural chalk outcrop shaped by man. 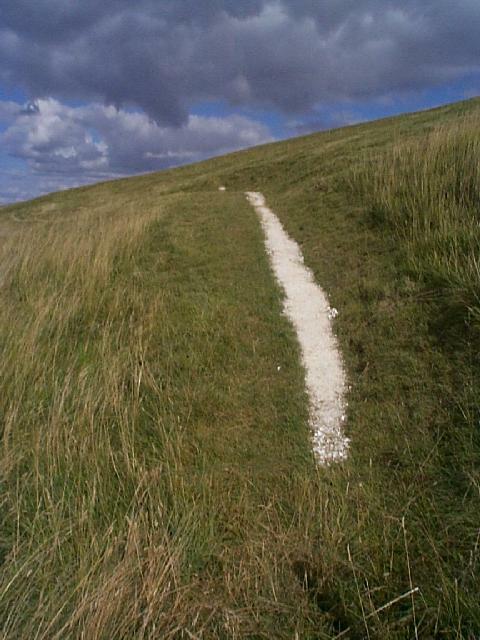 St George is said to have slain the dragon on top, and the seepage of the dragon's blood poisoned the earth and presented grass from growing at the top. 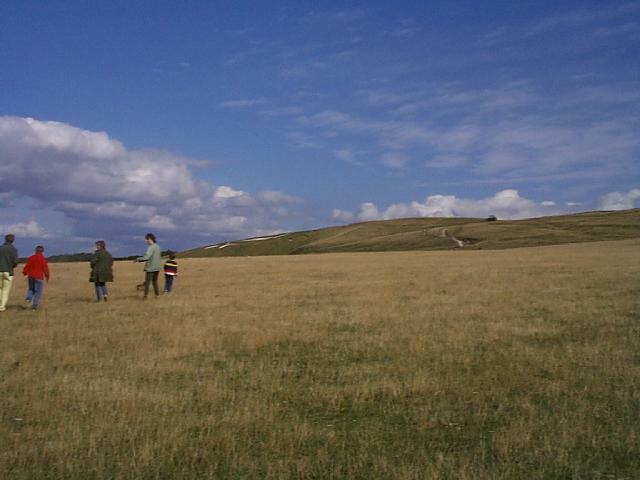 Uffington Castle hill fort (about three hectares) is around 2700 years old. 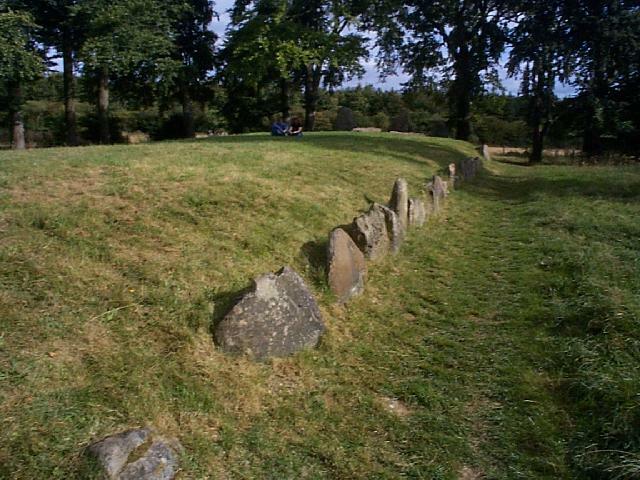 It is an earthwork, surrounded by a wall, then a ditch, and then a lower wall. 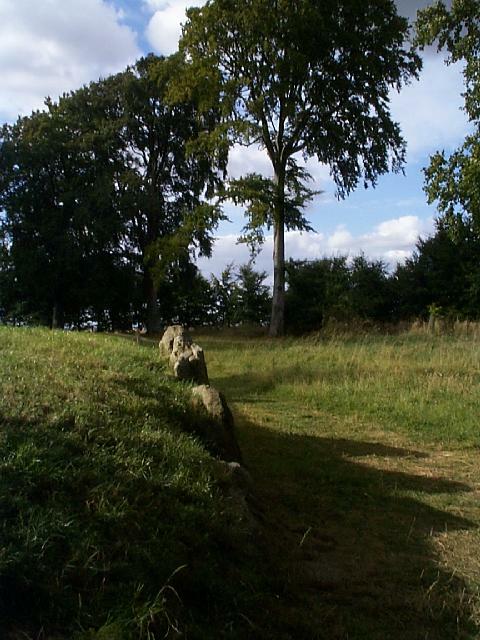 It originally had wooden fortifications; these were later replaced by stones (which also are long gone). In historical times the Castle has been used for fairs, sometimes in connection with the White Horse. 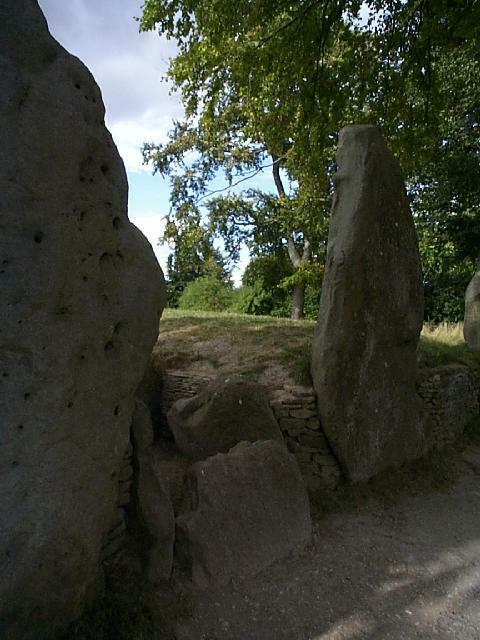 Wayland's Smithy is over a kilometre west of Uffington White Horse. 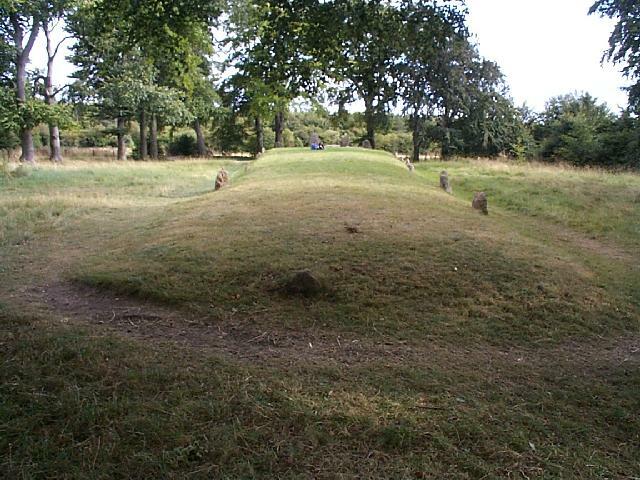 The original mound dates back five thousand years, but in neolithic times the mound was enlarged and sarsen stones were placed in front. 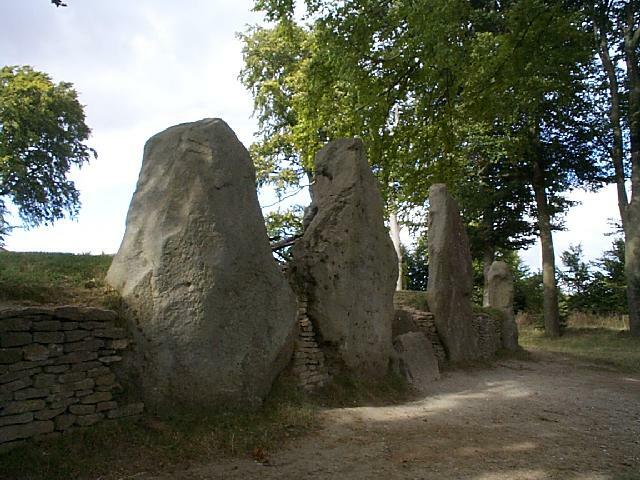 According to local legend, a horse left there overnight would be shod by Wayland. 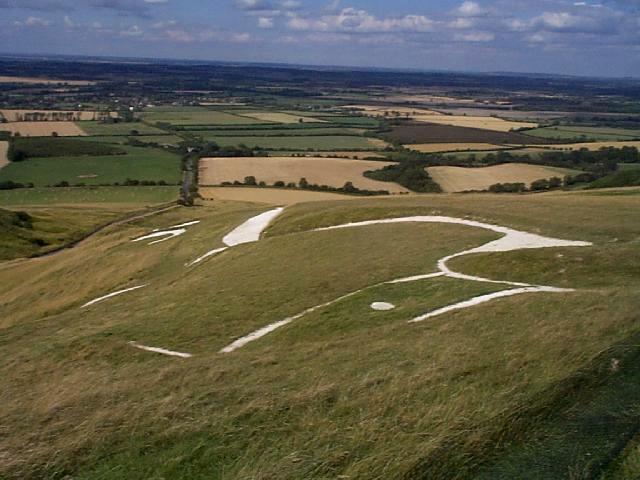 I derived most of the information here from the excellent notice -- dating from 1993 or later -- that stands next to the White Horse. My thanks to the anonymous writer(s). 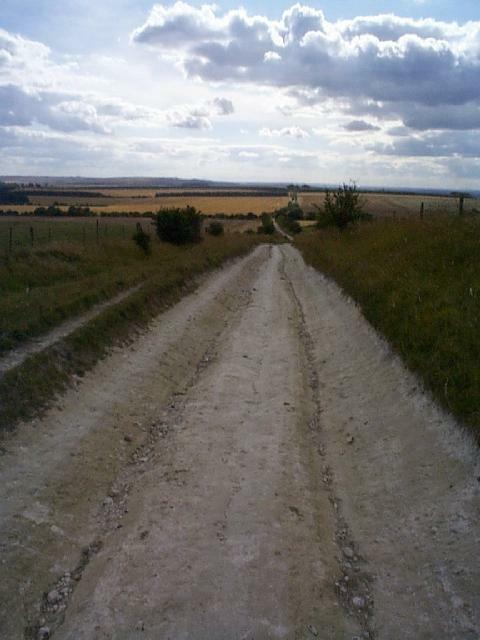 The Ridgeway -- Britain's Oldest Road: with a lot of practical information and some good photographs. 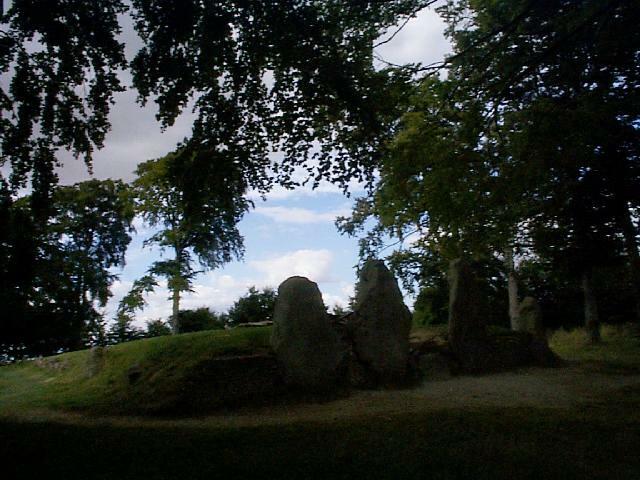 Wayland's Smithy: with photos that are better than mine. 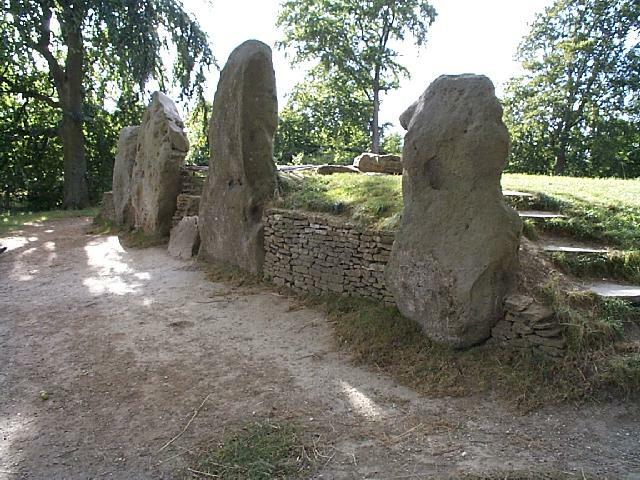 Prehistoric web sites, a list of links and more, with a heavy bias toward the British isles. First created: 2 October 1998. 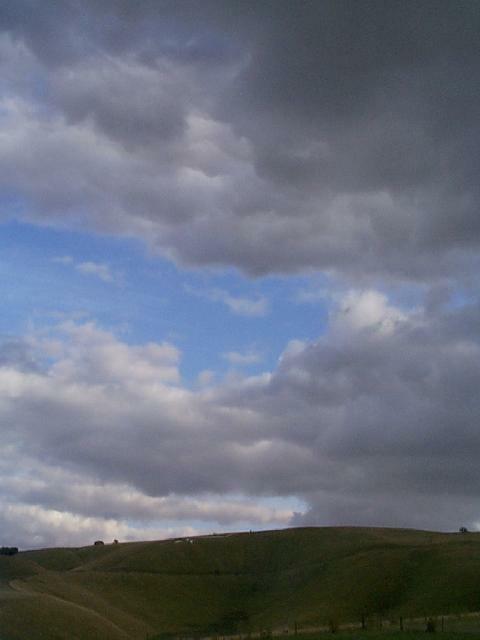 Last fiddled with: 6 April 2001.